Report of the Committee of Revisors Appointed by the General Assembly of Virginia in MDCCLXXVI. Richmond: 1784. 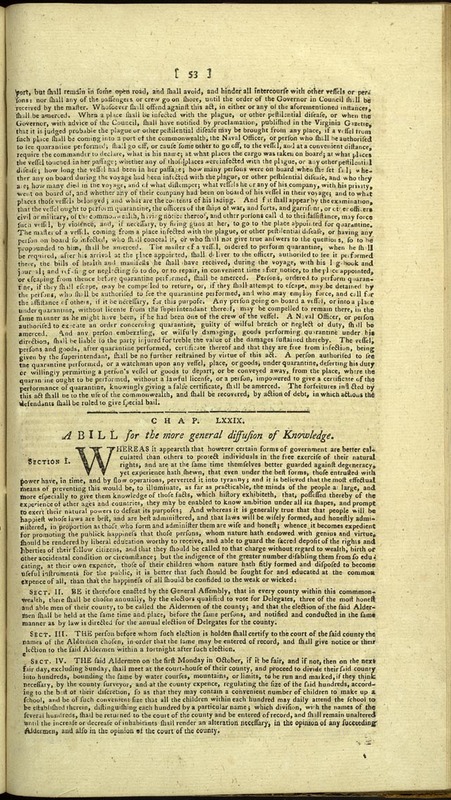 This text is presented as part of the Library of Congress's online exhibit, "Thomas Jefferson." 1. PTJ, 2:526-7. The manuscript of this bill has not been found.